Have you ever considered teaching English abroad? How about teaching English in China? This may not come as a surprise, most people would first think of teaching English if they decide to go abroad. This especially applies when considering any of the Asian countries. Like most things about far east, especially China, there are a lot of misconceptions. With misconceptions come, bad ideas, even bad experiences. Those bad experiences often come from, often, bad expectations. You might know someone who had bad experiences during their time in China. I would be careful when listening to their advice, if I was you. Consider this when thinking about any other country. What would some of those bad advice be, you might be asking yourself? Let’s go through some of them. Consider how many wonderful sites and places for relaxation can be found in China. Even now, you may think of at least several, at top of your head. 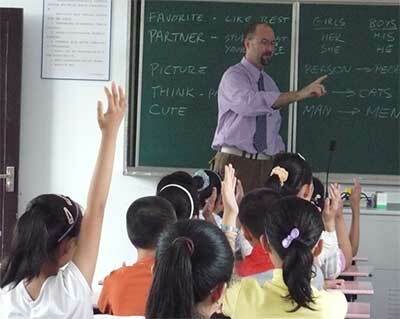 Teaching English in China is a job like any other. Do not expect to have six months off, or to spend your days in the sun. A better thing to do would be to spend your time there productive. Improve your skills. Learn about different teaching techniques. Or even learn more about the locals. As this will give you insight in how to approach the kids, or even adults better. Short work hours and lots of money! Depending on where you will be working, your experience might be different. Even in the best case scenario, you should not expect that teaching in China to be easy. At most kindergartens, you will be expected to work full time, 35 up to 40 hours. But if you are teaching in a university, you may expect as low as 15 up to 20 hours a week. As for the money, you can earn $1000 up to $2600, on average. This one is probably the most common complaint. Most westerners perceive Chinese people as eating live squid, dogs, or bugs even. While there is some truth to this stereotype, it is far from the reality. Chinese food is some of the best in the world. If you are living in China, do not be afraid to experiment. You might be pleasantly surprised by what you might experience. Time spent in a foreign country is great for experiencing new ways of living, new customs and a lot more. It will give you an important opportunity to try new food. No need for research, right? When traveling abroad for work you need to be familiar with the place you will call home from then on. Sounds simple and reasonable? As it should be, of course. While it is nice to be spontaneous, you should always think of the possible culture shock. This usually comes from an unexpected custom or a habit. Those are just some of the reasons why it is important to know where you are going. Do not be fooled by this one. China is the second richest country in the world. Not only that their economy is stable, but it is rising as well. This should give you the incentive to be more optimistic about your job prospects. If you feel like changing cities, or just schools, go for it. 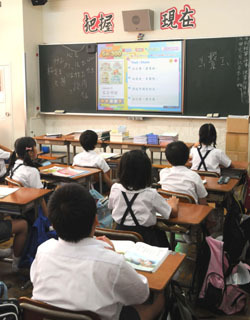 Many of the teachers have changed several schools while staying in China. This might be the most important thing to consider when applying for a job in China. You should not take the first offer give, as that first offer may change your entire experience. Various businesses are the most common employers for English teachers. This may come as a surprise for you, but this is, in fact, true. Many new schools decide to open a business training center. By doing this they do not have to get a much more expensive teaching licenses. Doing this can hear the teacher, as they will not be protected by the Chinese law. When listening to an advice, make sure that a person advising you is credible. Be sure to do your research. Think about experiencing the country you decide to live in. You might be surprised by. Bay Essence Interviewed on I Love Chile News! Celebrating 4th of July in Chile Gringo Thoughts: Mocking Accents Jobs and Working in Chile Fearful Phone Calls Abroad Bay Essence is a Featured Blog on InterNations!